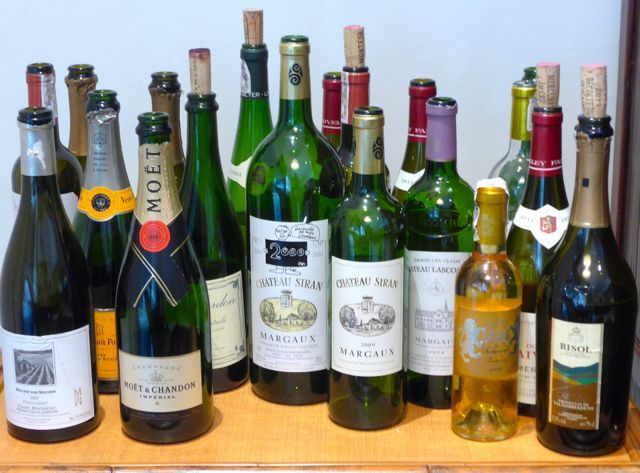 Weren’t invited to the state dinner for the French President recently at Malacañan Palace? See the menu, above. 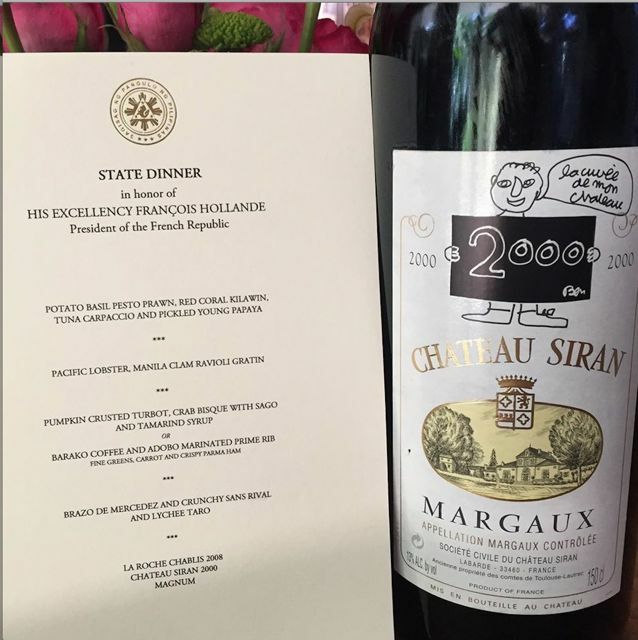 And notice the magnum of Chateau Siran 2000 they served with the main course… then click here to a post Christmas dinner post I wrote last December. This is the perfect segue to the long overdue posts from our Fall trip to Paris. Let the Parisian posts start in earnest! Top photo from the Facebook page of Chateau Siran. Basil pesto? Ravioli? For the French president? The least they could have done was to have used the French terms for these. Looking forward to your Paris posts, MM! Funny, I chose Paris on the poll, even before I opened this post. Would love to go there. Looking forward to your Paris posts. Don’t Forget, Ornament Pick-Ups Friday & Saturday!! !